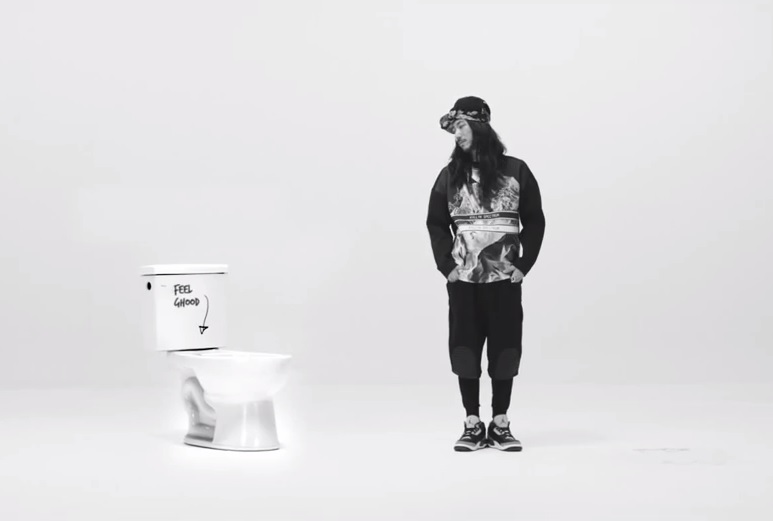 For as long as we’ve known Tiger JK, he’s been a master of subtle jokes. We have no doubt that this was one that came out of his creative brain. Tiger stands alone staring at a toilet that reads, “Feel Ghood,” and an arrow pointing to the seat. “Take a load off and relax” just took on another meaning. The crew rocks a red pullover with a look reminiscent of the golden days of 90’s hip-hop, an era that all three members love. The logo’d out neoprene pullover is from Korean designer KYLLYK SPECTRUM. The pullover costs roughly $128USD and is up for purchase along with other designs also worn in the video. Even though we’ve watched the video an endless amount of times, it took us hours to realize there wasn’t an ounce of color used. We spent weeks looking at behind the scene photos, showing off the great splash of color on those refreshing outfits. Looks like director, Lumpens, wanted to mute that so that we could focus on the main message. Well played, FGM. Well played. 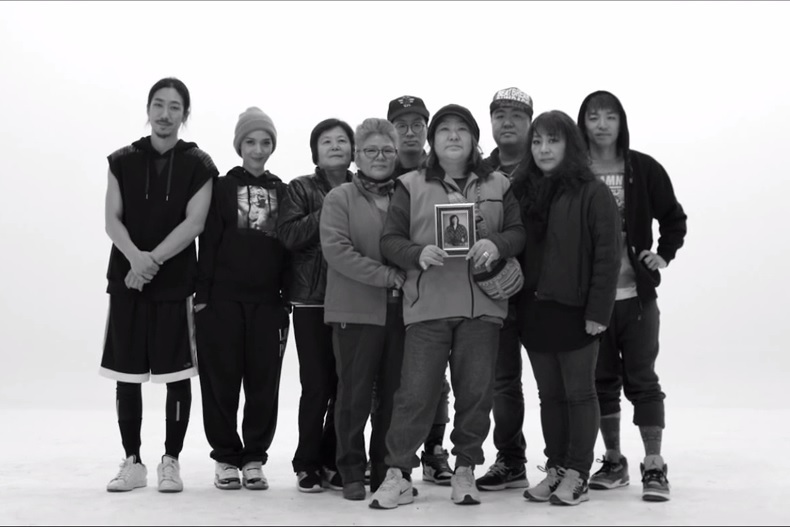 Through the first 1/3 of the video, Bizzy is seen wearing a hoodie with the words “Lord Bizzy” on the right sleeve. This hoodie was given to him from a fan he met at MFBTY’s 2012 performance at Singapore’s Music Matters Conference. That lucky girl is probably having a heart attack right now. 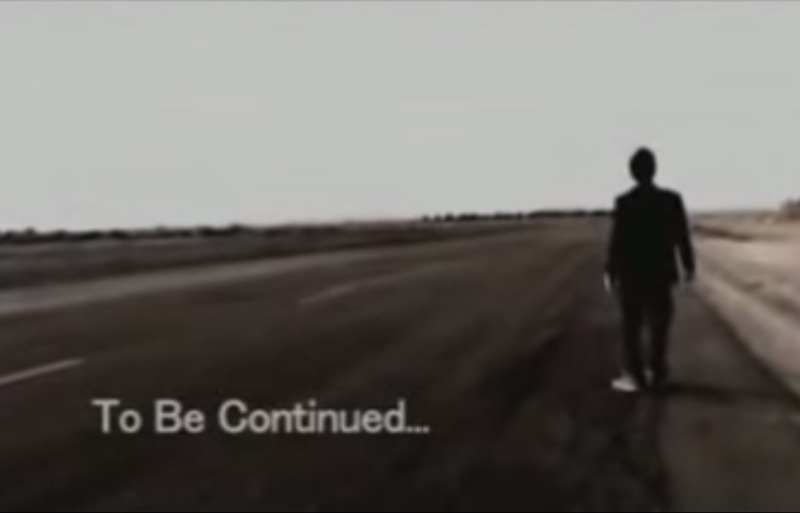 If you can remember back to 2008 when Bizzy was still a solo act, he was shot in his video for “The Day After We Broke Up.” The shooter? Bossman Tiger. Tiger has a smug look on his face while Bizzy is left for dead in his car. The last scene we see is of Bizzy, half dead, trying to follow the girl he fell in love with (who ironically planned the shooting with Tiger and ran off with him). How is this related to the “Angel” music video 6 years later? This time we see Bizzy, healthy and fit, knocking out Tiger in the boxing ring. We’re not 100% percent on this one, but we don’t think Tiger will try to kill Bizzy again anytime soon. Tiger JK was extremely close to his father, seeing him as both a guide and friend. It is only appropriate that the first “angel” referenced during his verse is his father, which then is followed with a scene of Tiger and Tasha kissing. When JK endured the worst of his myelitis, he admitted he was dangerously depressed, but it was Tasha’s love that kept him hopeful. Thus, Tiger’s two angels: his father and his wife. When Feel Ghood Music was established, they stressed that they wanted to keep the label very family oriented, working only with actual blood family and then those who they felt they could trust. 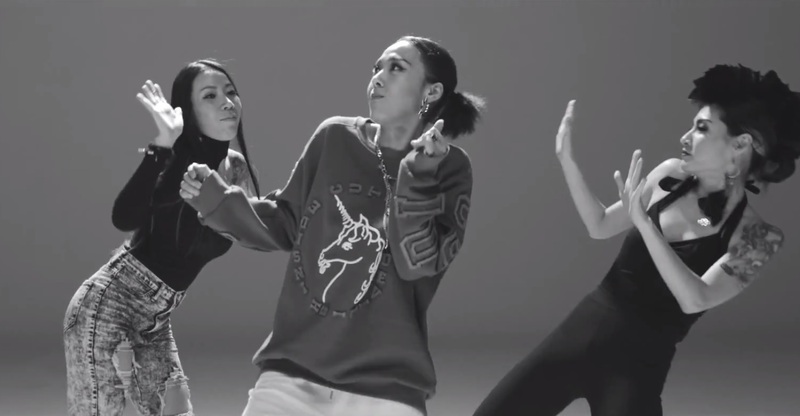 Almost every member of the Korea team appears in this music video. No explanation needed. This one deserves to be in a portrait book. Did we miss anything? Enlighten us!